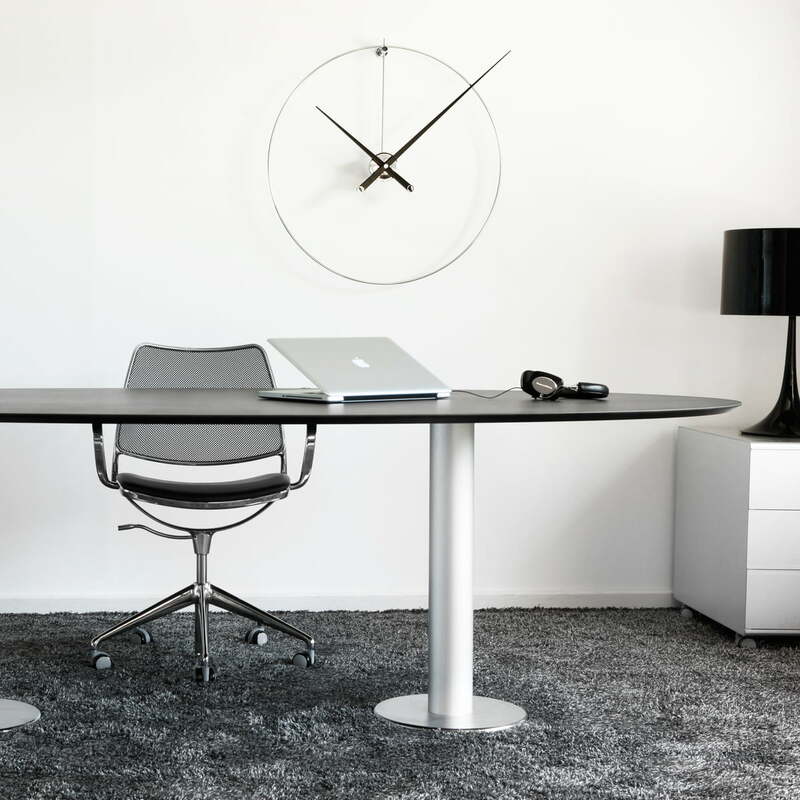 The wall clock New Anda by nomon made in Barcelona reduces the design of a clock to the minimum. The wall clock, made of high-grade steel and painted walnut wood, seems to float in space and gives an enormous weightlessness to the rather large construction which lets us float with it. The clock consists of a circle, which symbolizes the hour and is the hanger for the clock at the same time. The imaginary 12 ends in a bar going down to the center of the circle where the hands are attached. The clock can only be recognized through the circle and the hour and minute hands and it is still easy read. 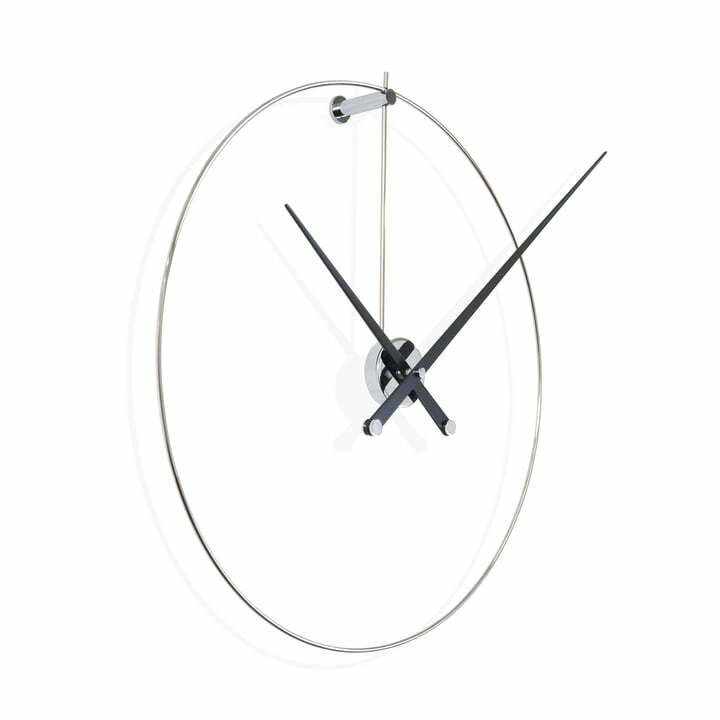 The clock is reduced to the essence and it plays with the elements of a wall clock.